Why talk about fashion when the world is going to pieces? I don’t always know, friends. 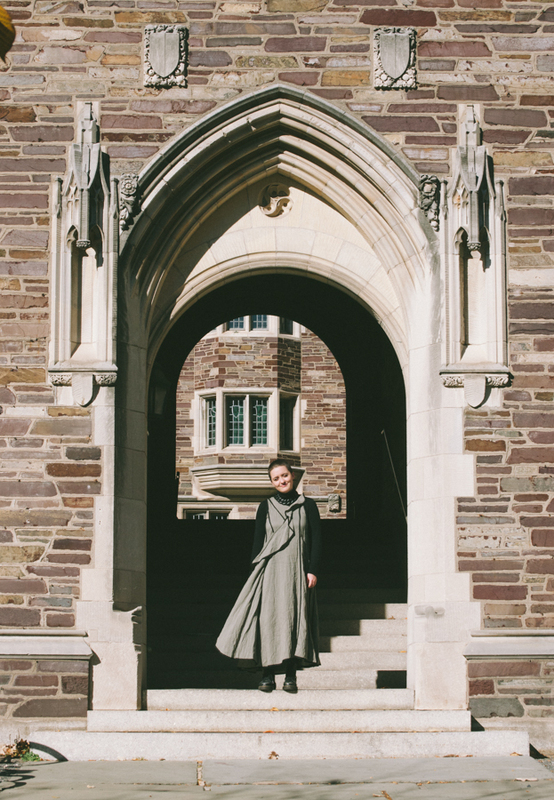 But in November, I had the privilege to speak about fashion and faith at Princeton University, and the reason it all mattered was really, really clear to me then. I had gotten the invitation months beforehand and I was excited about it and I told my friends and I asked people to pray for my words and I posted about it on social media. The panel would be on modest fashion from a religious perspective, and I’d be speaking alongside Jews and Muslims, some of whom have careers that dwarf mine, some of whom I’ve had professional-friend-crushes on from afar for awhile. I was nervous and flattered and grateful to be included. I was trying to put together a talk that I could be proud of, especially in light of the fact that I might be the only Christian in the room. Still, I ended up leaving much of the writing up to the week before the talk. But that ended up being just fine, because less than a week before I was scheduled to go to Princeton, Donald Trump was elected President. And suddenly, anything that I could’ve said that was disconnected from that reality seemed irrelevant. I’ve already written about how I woke up the day after the election and sat in my bed crying while I scrolled through Twitter, because so many of the Muslim women I follow were talking about the ways they felt suddenly unsafe wearing the hijab outside. I know I have readers (and loved ones) who voted on both sides of that election, but I feel like we should all be able to agree that a threat to one group’s ability to practice personal, peaceful religious acts — like wearing a scarf on one’s head — is a threat to religious liberty for any of us. And a threat to the physical well-being of anyone innocent should trouble all of us too, followers of Christ especially. I was lucky in that I got to spend the next few days after the election on a mini-retreat with some of my best friends, so my writing time for the Princeton talk happened in bursts in between walking along Lake Michigan, cooking, crying, blind-contour sketching, dancing, singing along to Bob Dylan, praying and yelling at the stars. Throughout all of that time of processing and writing, the faces of Muslim American women were before me. Some of them were old friends and some were people I met through working on this NYT piece and some I would meet for the first time at Princeton and some I ride the train from Brooklyn to Manhattan with on my way to work. I was surprised, in the days after the election, to find that I’ve never been so grateful to be in the fashion industry. No argument about the alleged frivolity of fashion could touch me when it was so clear that here, fashion was serving as a connecting thread between me and the people I most wanted to be around: a group of individuals who were made more vulnerable than I by the way this nation had voted. Fashion is deeply related to politics, though often in unspoken ways. A woman who wears hijab in settings where it may well be received with hostility will not pretend that her clothing choices are superfluous. I can almost guarantee to you that there is not an adult female alive in America today wearing the hijab in public who has not thought deeply about how this fashion choice relates to her identity and her politics and her beliefs about God. So I went to Princeton, and I talked about modesty. I was asked to speak about life phases, regulation and resistance in the context of student life, so I spoke about my experiences with the well-intentioned but ultimately broken modesty rhetoric that was prevalent in my Christian community growing up. 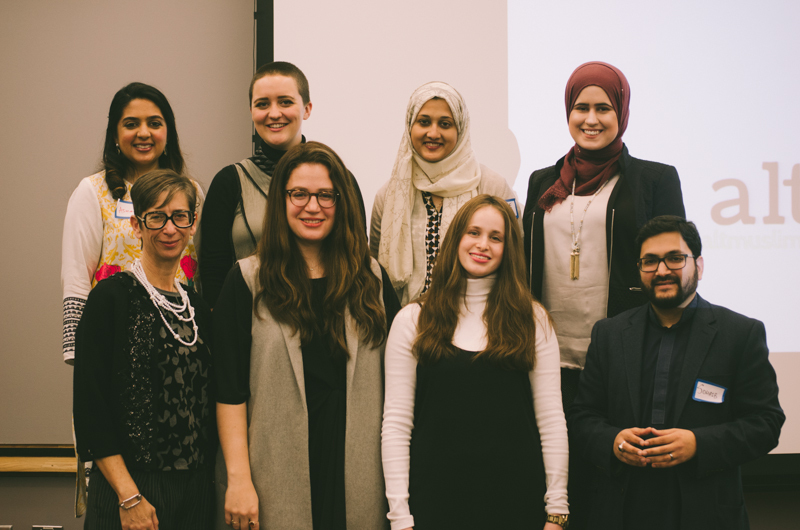 And then I talked about the things that have made me interested in talking about modesty again, despite all the ways I’ve seen it go awry — namely, the incredible Christian and Jewish and Muslim women who are doing it differently. They’re women who are using modest fashion to build communities and deepen their pursuit of God and make political statements and perform their faith in public, in full view of a “secular” society. You can listen to the talk here, and the conversation that followed between myself and Asma Uddin, founder of Muslim website altMuslimah. And when you’re done with that, you should really consider listening to the talks that all the other speakers gave that day, too, or if you don’t have time for that right this minute, consider following them on whatever social media channel you prefer for bite-sized bits of their perspectives. This weekend made it clear that America as a country still has so much fear and hatred for Muslims, even when they’re fleeing great violence themselves. I hope that no matter how you voted, you’ll take the time to really listen to the people you see as Other. This little handful of women may be a good place to start. As for me, I’m glad that following the thread of fashion and faith led me to them. They have a lot to teach me. 2 Responses to "Muslims, Jews, and Modest Fashion in the Age of Trump"
This was so great to read, I could feel that it was written from the heart. Thank you for your open mindedness and for sharing your wonderful perspectives at the conference, it was a pleasure meeting you and an honor knowing you! Thanks so much for your kind words, Hassanah! It was good to meet you too and I appreciated your insightful questions. I hope we run into one another again someday soon.